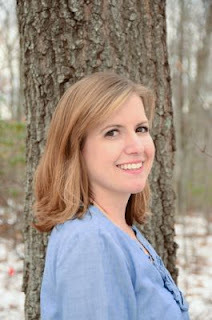 Please welcome Beth Vrabel to The Qwillery. 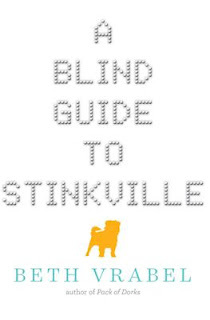 A Blind Guide to Stinkville was published on October 6th by Sky Pony Press. Beth: Thank you for having me! I wrote my first story when I was small, maybe eight years old. My mom said, “You know what, Beth? Someday you’re going to write a story and it’s going to be published.” That’s all it took for me to fall headfirst in love with storytelling. I’ve been writing ever since. I left journalism to delve into creative writing after my children were born. Beth: A mix! So I guess I’m a plontser? I usually start with a character and build the story around that person. I sketch out the key points in a notebook that I get a little Gollum-esque around. It is precious to me. In a different notebook, I scribble out what needs to happen in whatever chapter I’m working on that day. Not all the details, just a few tidbits. More often than not, the characters lead me in a slightly different direction, and rather than being tied to my notes, I love when that happens. Having your characters tell you the story is pure magic. Beth: I think it’s the self-doubt. This can be such a lonely process, digging deeper and deeper into yourself until you find the truth you need to share. Pulling it to the surface, polishing it and putting it out there for others requires a lot of vulnerability. TQ: Describe A Blind Guide to Stinkville in 140 characters or less. Beth: When her parents plan to enroll her in a school for the blind, Alice sets out to prove everyone faces challenges. Some are even born with them. TQ: Tell us something about A Blind Guide to Stinkville that is not found in the book description. Beth: A Blind Guide to Stinkville features a taco-plosion, a possibly rabid squirrel and fire-breathing peacock. One of these is a lie. You’ll have to read the book to find out which one. 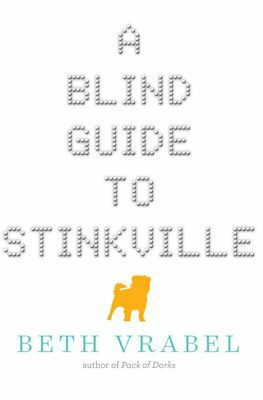 TQ: What inspired you to write A Blind Guide to Stinkville? Which themes are you touching on in A Blind Guide to Stinkville and is this a novel that parents and children should read together? Beth: Great questions! My daughter has a form of albinism, though it is much, much milder than Alice’s case. Where Alice is legally blind, my daughter is considered low vision; in fact, most people who meet her are unaware that her eyes work different. But it’s a sore point with my daughter to come across the typical depiction of albinism in media. Often, people with albinism are portrayed as mystical, evil or other-worldly. Visually impaired people are shown as all knowing and ever peaceful. I was inspired to write a story about a smart, goofy, kind twelve-year-old girl who just happens to have albinism. The book hinges on two ideas: everyone faces challenges; everybody has a story. Some of people’s challenges, like Alice’s albinism and blindness, are obvious. Others are more easily hid but just as tough to manage. As Alice learns to navigate her new town, she confronts this first idea again and again—from Mr. Hamlin’s loneliness to Mayor Hank’s hubris to Sandi’s learning disability. At home, Alice’s mom is grappling with depression. But Alice also sees that these obstacles do not define any of them. Their stories are much richer and more beautiful than their challenges. 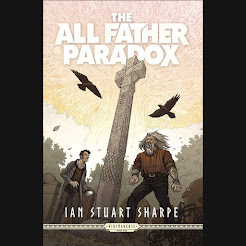 With that in mind, I do hope that parents will read the book with their children. There are opportunities to use A Blind Guide to Stinkville as a jumping off point to share our own stories. Someone wrote to me recently that A Blind Guide to Stinkville was a gateway for her to discuss her own struggles with depression with her son in healthy, comfortable way. That means so much to me. TQ: What sort of research did you do for A Blind Guide to Stinkville? Beth: Sinkville is a paper mill town, much like my hometown of Spring Grove, Pennsylvania. I relied on stories I had heard growing up about my hometown’s history, including creating a massive lake over farmland, to create the fictional town of Sinkville. When it was time for Kerica to share her story, I contacted Historic Columbia and spoke with historians about what life might’ve been like in a small town surrounding the city during the Civil Rights era. Beth: The answer to both those questions is Alice. She was the easiest to write because she had such a distinct voice from the get-go. I admire people with open hearts like Alice. Sharing her story was a joy. But she also was the hardest character to write. Since the story is from her perspective, I couldn’t establish settings based on visual cues alone. Often times Alice talks about squeezing her eyes shut so she could “see” what was happening in her mind. Thinking about the world in terms other than simply how I physically see it was a challenge, but one I’m happy I took on. TQ: Which question about A Blind Guide to Stinkville do you wish someone would ask? Ask it and answer it! TQ: Give us one or two of your favorite non-spoilery lines/paragraphs from A Blind Guide to Stinkville. Beth: I’d love to! These are a few paragraphs from when Alice first sees the Sinkville Sycamore, a hundreds-year-old tree in her new town. This tree is inspired by the Pinchot Sycamore, a landmark near where I live in Connecticut. I want to say that the tree was beautiful. But it wasn’t. It was hideous. Huge, massive, twisty, ugly. But somehow, that made it majestic. I thought about what it had blindly faced in two hundred years. Sure, it was rooted in the same spot, but how many storms had it weathered? How many times had lightening threatened one of its limbs? It had stayed still and stubborn through the rise of the town. 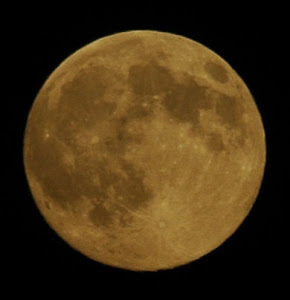 It breathed in thousands of people’s air, exhaling oxygen. How many lovebirds carved their names in its bark? Kerica counted a dozen aged hearts; certainly there were more that she couldn’t see. How many fights had it heard? How many birds’ nests had it cradled? How many dirty toes and fingers had scrambled up its sides? Even though it always stayed still, the tree never stopped changing. Its bark broke away to reveal smoother, paler bark below as it grew. Giving up on my sketch, I tried to lock the image of the tree in my mind instead. I didn’t realize my eyes were closed until I felt Mayor Hank’s breath on my head. I opened my eyes and saw that he was waiting for some kind of response from me. About the tree. Maybe about Sinkville. Maybe about me. But then again, I thought, maybe some people saw this and just thought, wow, what a big tree. I tried to swallow down all the huge thoughts that shadowed my mind while standing under the sycamore. Then I looked more closely at Mayor Hank and realized I didn’t have to. He got it. Beth: I’m so glad you asked! I have two releases coming up: CAMP DORK, the next book in the PACK OF DORKS series, hits shelves in May. Lucy and the rest of the gang head to summer camp, and this time the bully they face might just be one of them. 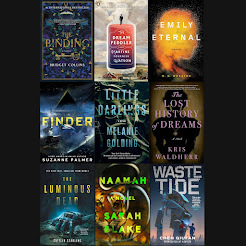 And in October, A BLIND GUIDE TO NORMAL releases. This story focuses on Ryder, a character memorably introduced toward the end of STINKVILLE. Ryder, who lost an eye due to retinoblastoma, transfers from Addison School for the Blind to attend eighth-grade in “normal” school. But when his first day of school includes causing his biology teacher to pass out, accidentally-on-purpose humiliating the class hero, and falling hard for the fierce girl next door, Ryder quickly learns “normal” isn’t all that great. For the first time in her life, Alice feels different—like she’s at a disadvantage. Back in her old neighborhood in Seattle, everyone knew Alice, and Alice knew her way around. In Stinkville, Alice finds herself floundering—she can’t even get to the library on her own. But when her parents start looking into schools for the blind, Alice takes a stand. She’s going to show them—and herself—that blindness is just a part of who she is, not all that she can be. To prove it, Alice enters the Stinkville Success Stories essay contest. No one, not even her new friend Kerica, believes she can scout out her new town’s stories and write the essay by herself. The funny thing is, as Alice confronts her own blindness, everyone else seems to see her for the first time. This is a stirring small-town story that explores many different issues—albinism, blindness, depression, dyslexia, growing old, and more—with a light touch and lots of heart. Beth Vrabel’s characters are complicated and messy, but they come together in a story about the strength of community and friendship. Beth Vrabel grew up in a small town in Pennsylvania. She won a short-story contest in fourth grade and promptly decided writing was what she was going to do with her life. After graduating from Pennsylvania State University with a degree in journalism, she moved through the ranks of a local newspaper to become editor of two regional magazines and a lifestyle columnist. Beth’s previous book, Pack of Dorks, received a starred Kirkus review, other positive trade reviews, and was selected for Kirkus’s roundup of the Best Middle-Grade Realism of 2014. Beth lives with her husband, two children, a spoiled-rotten puppy, and Frodo the guinea pig in Canton, Connecticut.